Posts about the extended family of Robert A. Stallings. Another old photo reemerges. 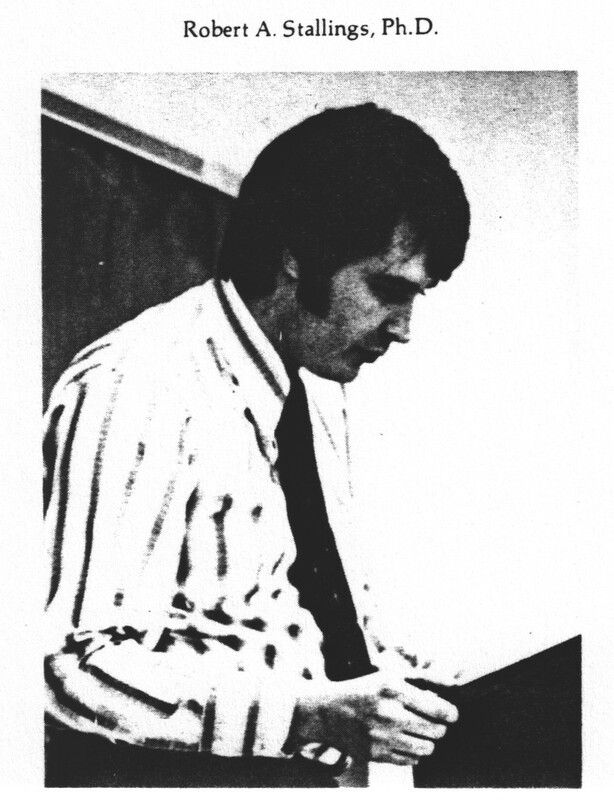 This is from the University of Evansville Yearbook @1972. I was in my first year as one of six members of the Department of Sociology at UE. Professorial looking, huh. Bob is a central Ohio native (Westerville [South] High School '62) and a graduate of The Ohio State University ('66, '68, '71) who has lived in southern California since 1975. He is Professor Emeritus in the Price School of Public Policy at the University of Southern California. See Bob's Photos on . . .
See Bob's Videos on . . .